But, you're in that classic mind boggle, what to do? Beach? Beer? Bike? You'll be in town by midday, if you're onto it and snappy, the bike can be built up in half an hour! We could smash out a lap surely!? Well, if you've never been to Finale Ligure before, a bit of a news flash for you, there's no chairlift. The trails of Nato Base and Din are over two hours of pedalling in the hot Ligurian sun....anyone doing that on day one needs some kind of medal! 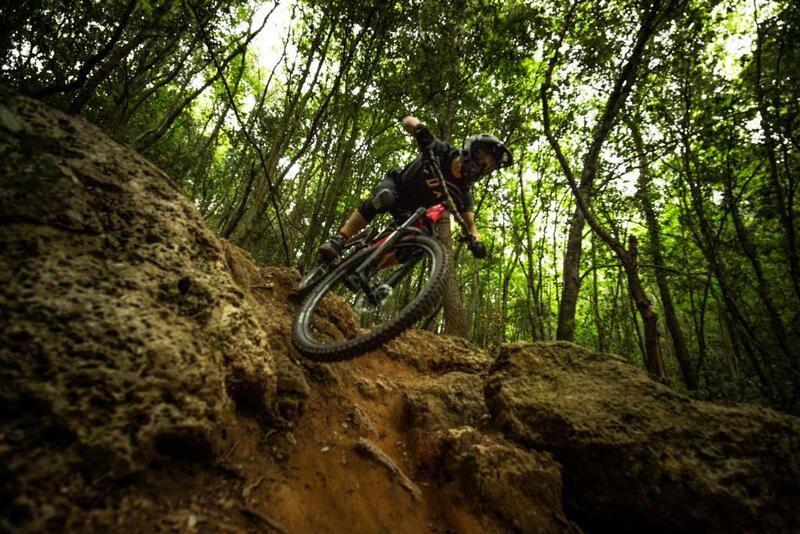 Finale Ligure however has you covered, each year the EWS hosts trails on the smaller hills surrounding the town, all that stands between you and the dirt of Finale is a brisk 30 minute pedal straight up the hill behind our villa. It's called enduro for a reason right? First you'll want an Italian Espresso, no one does it better. Start off by nipping through the cobbled streets of Finale Ligure to Oddone Bici, great friends of ours, a great bike shop and now a great place for breakfast (Nonna makes the tortes!) and post ride beers! 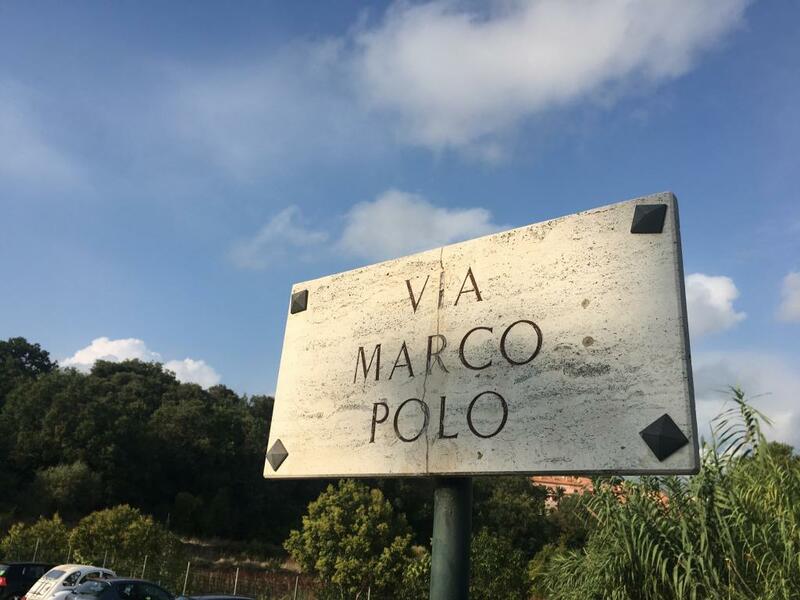 Head out of Finale Ligure and toward the historic town of Final Borgo. If you ride the main road behind the town, you're looking for the Coop Supermarket sign, just before the petrol station. A short 400m pedal along this road and you'll come to a right turning next to a school. The climb starts here. Keep on pedalling up. The climb takes around 30 - 45 minutes in total. It's gentle for the most part with a coupe of steep pinches. Take a bit of time to look back over the town and the historic castles surrounding it.....quite the place. There is only really a couple of turns you have to get right, as long as you follow the signs to San Bernadino for the first couple of kilometers, you'll be fine! From here you're not far from the top, a short few pinches remain. Follow the road up until you hit a cross roads, there is a tree with Trattoria Cucco pinned to it, beyond this a road sign for Via Marco Polo (hehe). Continue on up for the steepest 100m of the climb and you are all but done. After a drink, a short pedal to the top! 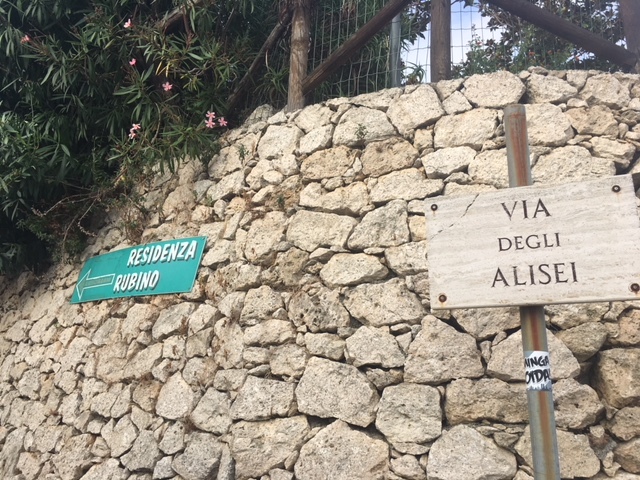 Take a left at Via Degli Alisei, up into the car park behind Residenza Rubino. A hop over the rock at the end of the drive and you're away! A cow gate needs to be opened and closed, then a 400m, gentle pedal to the start of the trail. 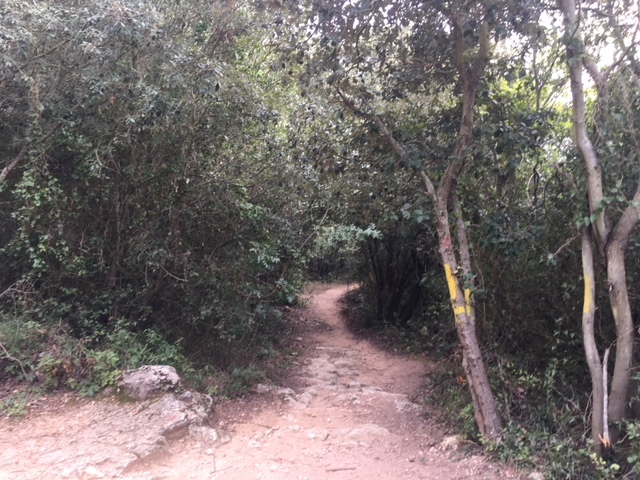 Keep looking to your left, the start is found after a short pinch climb and is marked by yellow paint on the trees. Were you to keep on going up from here, you'll reach the trails of La Ruggetta and Camporotondo, track checks coming soon! 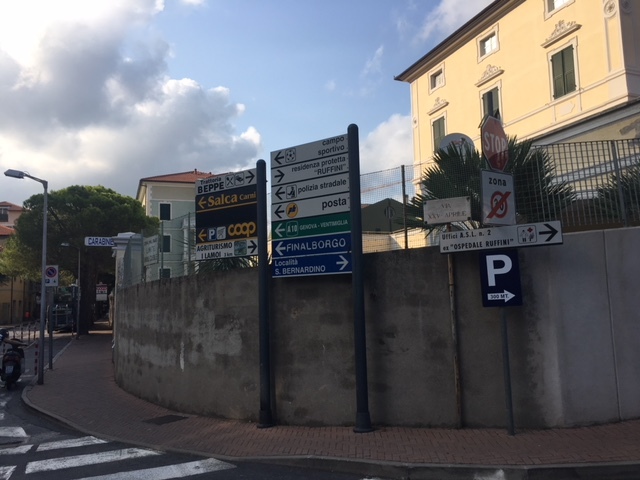 Despite it's rocky and tight first impression, Dolmen is considered one of the 'flowier' of the town tracks in Finale Ligure. 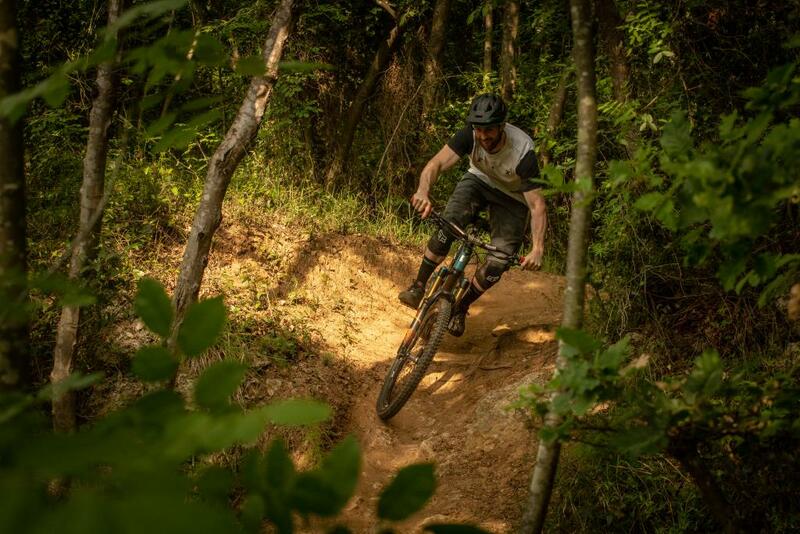 Beginning with a short sprint, the only urn on the trail itself you'll want to make is a sharp right hander, from here you're a strsight shoot down the hill. She's a tricky beast, with some high, blind lines over rocks to get the best access into the next corner. It's certainly not one for the wet, these rocks get slippy with a sprinkling of rain! After the opening salvo of fast, open corners, things tighten up considerably for an awkward few corners, up over rocks and into corkscrew sections that are incredibly tricky, especially the first time around. From here on in the trail opens up a fair bit, speeds increase and the flow comes. However....You'll want plenty of PSI in those tyres, especially on carbon rims, there are fixed and loose rocks everywhere with plenty of opportunity to pull up and find a line that may look smoother, the landing may not always be so! There's some rocky chutes and natural transfers to be had on your way down, just be aware of where those wheels are going to land. 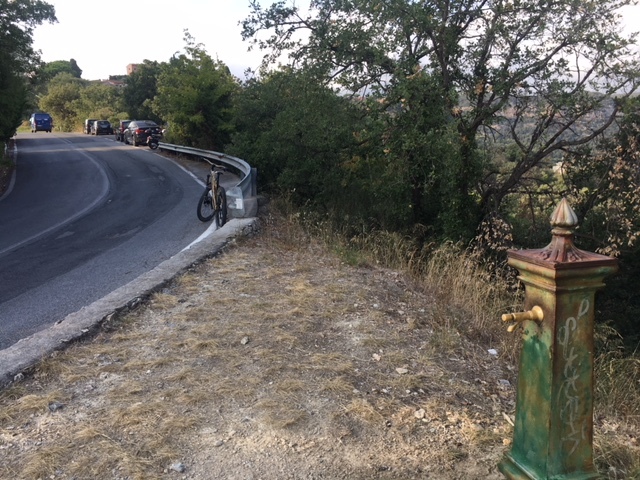 You eventually hit an old olive grove, where a sharp left around an ancient wall leads you into the final section of trail, steep and once again littered with rocks, best lean back and hang on! Get through all of this and you're home and dry, ready to deal with the beer and beach part of the puzzle! 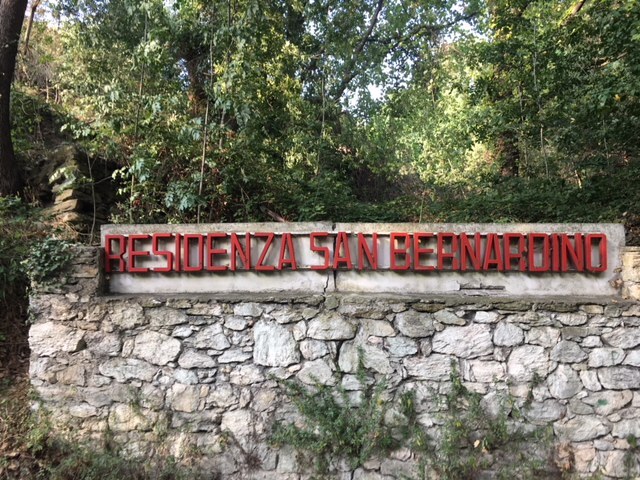 Head past Final Borgo, perhaps stopping for a beer in beautiful old medieval town, maybe see Bar San Pedro in Finale town square for their famous aperitivo or, even better, finish with a Birra Dolimiti at Oddone Bici bike shop!